Ferretti Jeans Philosophy was launched by Alberta Ferretti in 1989 and renamed Philosophy di Alberta Ferretti in 1994. 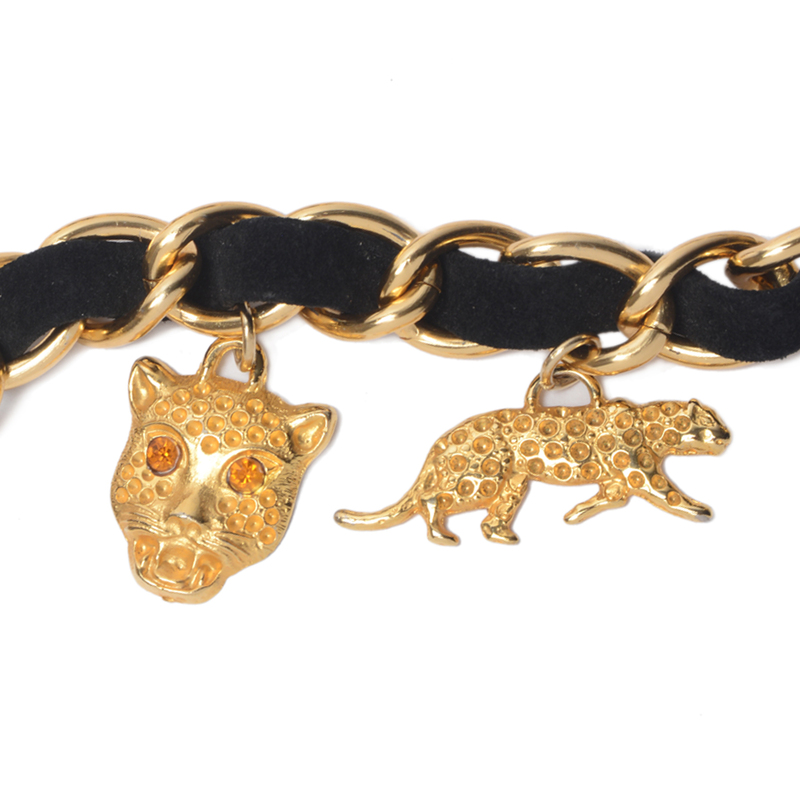 This Vintage Ferretti Jeans Philosophy belt features gold-tone metal chain-link entwined with black velvet. 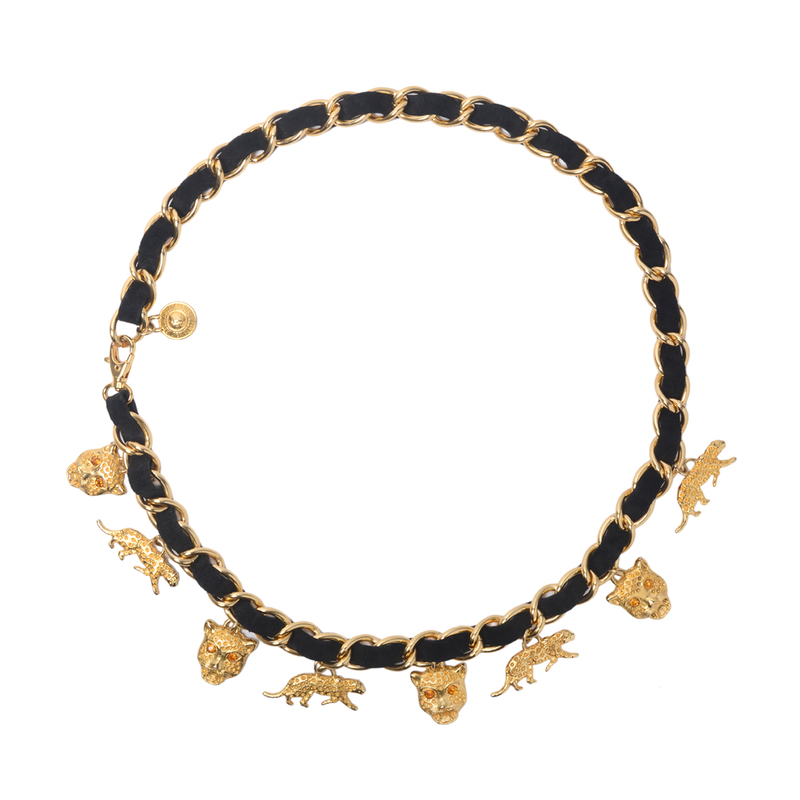 Crystal encrusted Panther charms hang from the metal chain links. The gold-tone hardware has surface scratches, minor discoloration and dents. The metal is bright and shiny. the black velvet shows light signs of wear and rubbing. The belt is in good VINTAGE condition. We offer free domestic shipping, with Cash On Delivery (COD) facility across India. Typically your item will be delivered within 3-5 business days from the day you place your order (We do not deliver on Weekends and Public Holidays). LabelCentric is not affiliated with Alberta Ferretti. 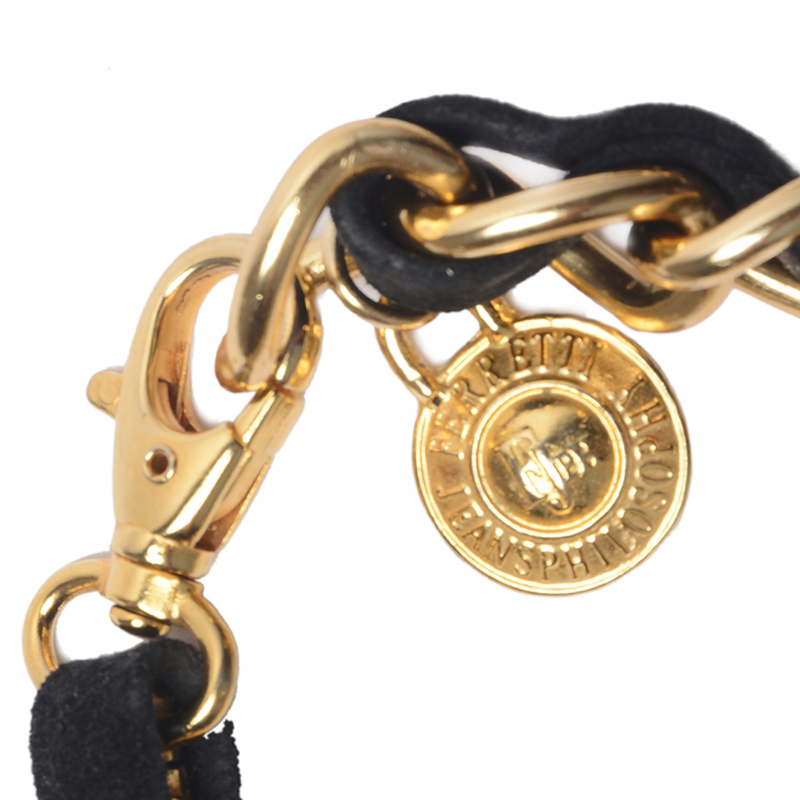 We guarantee this Alberta Ferretti item to be authentic ( find out how ). Alberta Ferretti® is a registered trademark of Alberta Ferretti.